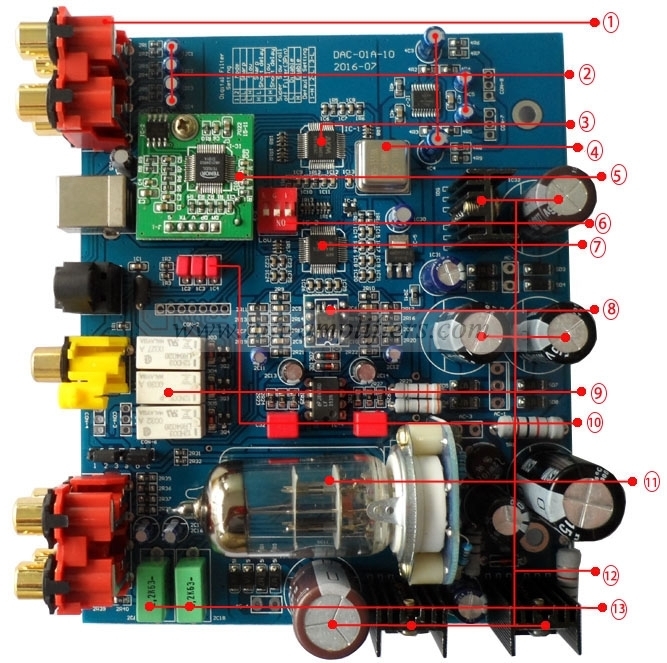 DAC-01A Audio decoder AK4490 coaxial fiber optic USB XMOS Dac headphone amplifier NE5532 LF353N Op amp audio decoder. Note：The DAC-01A version tenth is launched. 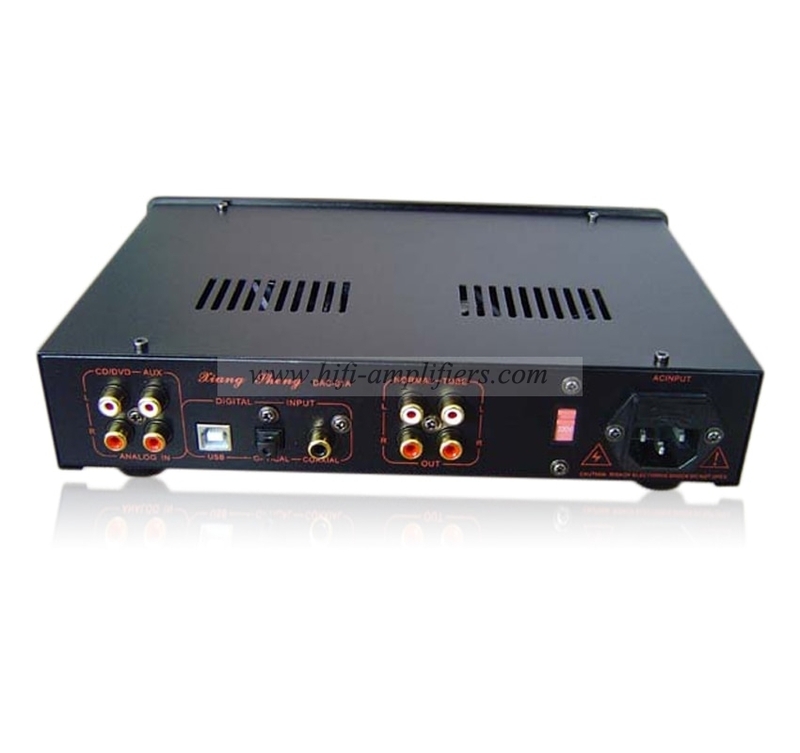 It adopts the AK4418 which is currently recognized as the lowest jitter value of AKM company to do digital reception, AK4490 decoding, whether it is DVD player, CD player, computer, HD player, TV set-top box, MP3 (MP5) player, HD hard disk player, IPOD, etc., whether it is digital signal or analog signal, you can choose to connect To the input of this unit, you only need one switching knob on the front panel of the machine to get it. You don't need to unplug the signal line to exchange it. (1) Power Switch: POWER - Press the button once, the power comes on. Press the button again, the power goes off. 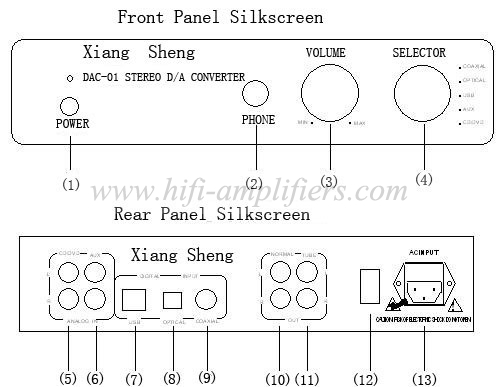 (2) Headphone output port: When inserting headphone, automatically cut off the loudspeaker output. Please use headphone with 32ohm and 600ohm. Volume control counter-clockwise decreases the volume level. 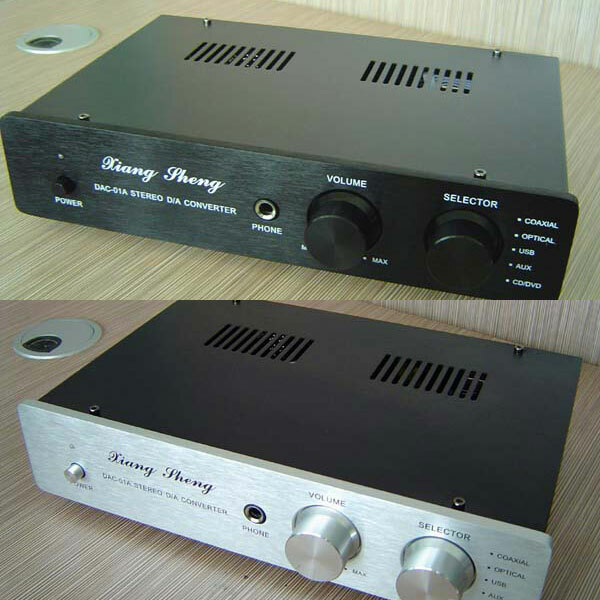 (10) NORMAL output port : can be connected with integrated amplifiers (such as tube amp). 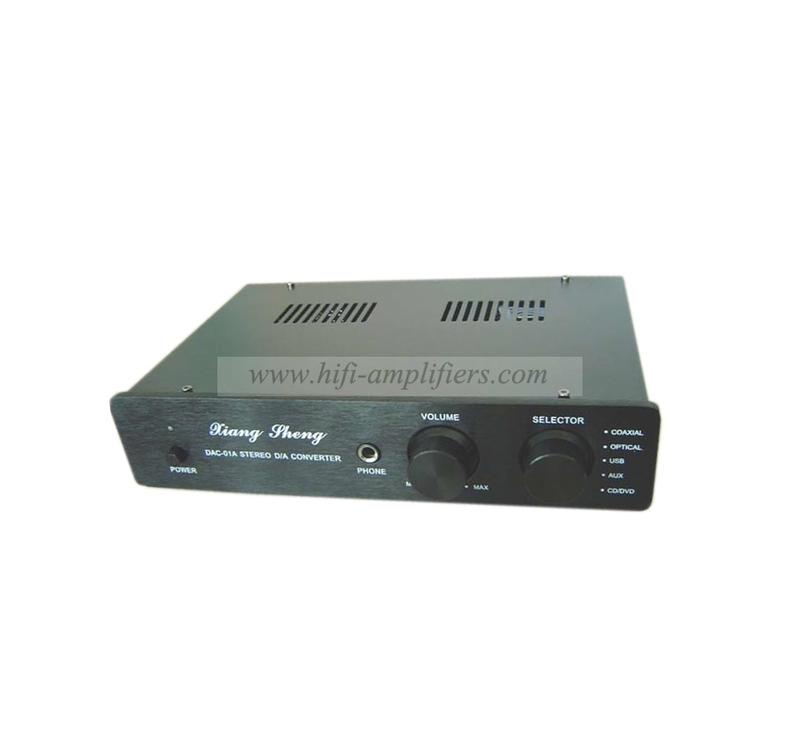 (11) TUBE output port: : can be connected with integrated amplifiers ( such as transistor amp). 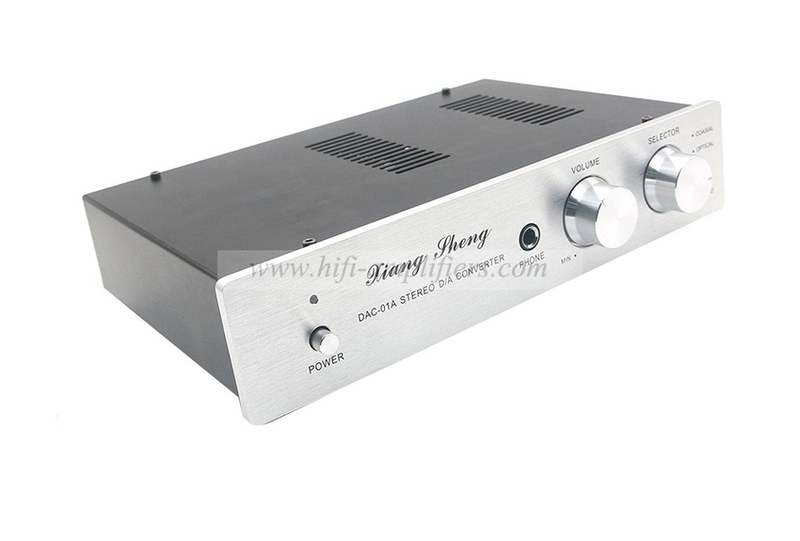 The DAC-01A DAC Headphone Amplifier stands out with its high fidelity vacuum tube output . With no less than five sources signal inputs for selecting : DVD/CD, AUX, coaxial, optical and USB input. The DAC-01A lets you â€œupgradeâ€ the music listening experience, for any type audio setup, from computer-based systems, to network music devices, or standard CD/DVD etc. Just plug it into your existed setup and enjoy the superior high end sound quality. This is a new design so not like the old Tube DAC. 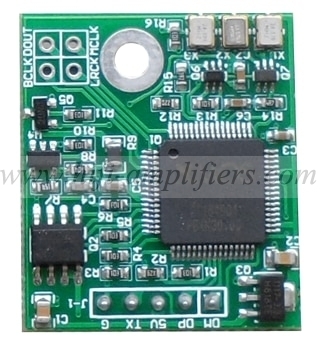 The unit have two output, one with transistor and one with single 6N3 vacuum tube. So you can change the two output to find more fun. You can compare the sound between the two output then find out which can match you listen taste. - 5 sets of inputs: including 2 sets of analog RCA inputs(DVD/CD, AUX), (1) coaxial, (1) optical and (1) USB input. - 2 sets of RCA outputs â€“ transistor and vacuum tube. - Built-in headphone amplifier: allows you to enjoy music with privacy. Great power, music layers and details. - Genuine imported processing chip. All resistors and capacitors are audiophile grade to ensure sound quality. Key parts are from Germany and Taiwan etc..
- R-shape high efficiency transformer. 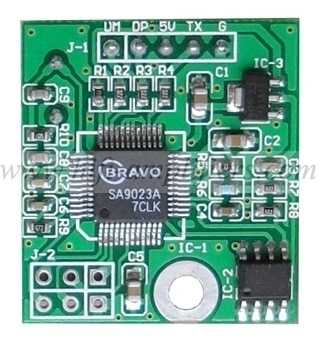 - Separate power supply rectification to analog and digital circuits. - Gold coated RCA connectors and coaxial connector. - Vacuum tube output use well-known Chinese 6N3 tube. It can be replaced with 5670 type of tube. - Brushed aluminum faceplate, with all metal buttons and knobs, plus blue LED indicator light. - Having two RCA analogy un-balance output(Normal Output and Tube Output), can be connected to transistor amplifier and tube amplifiers. 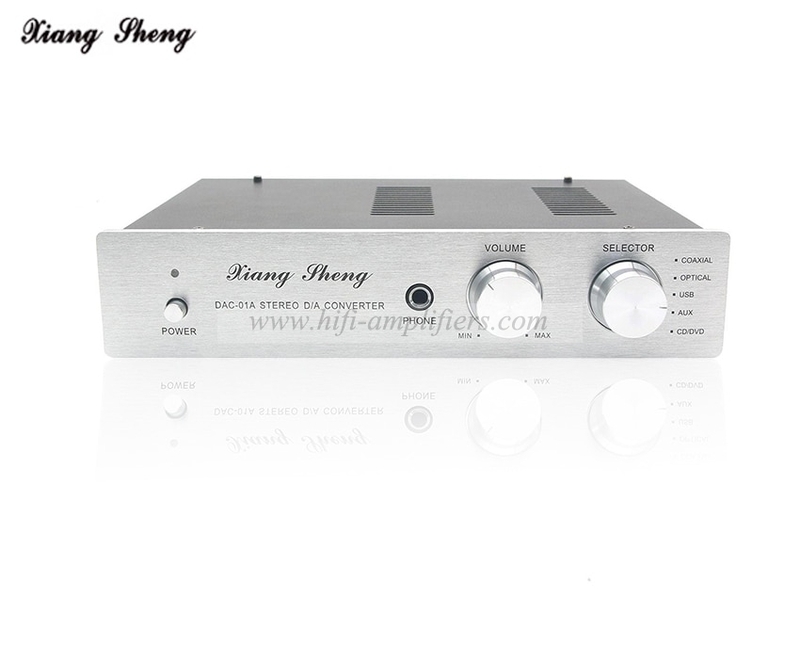 - The volume potentiometer does not control volume on the line outputs, just the headphone. For driver installation: Disable your antivirus amd unplug the USB cable before install the driver, and then plug it later.